Motamec analogue tyre pressure gauge reading up to 60psi with flexible hose. 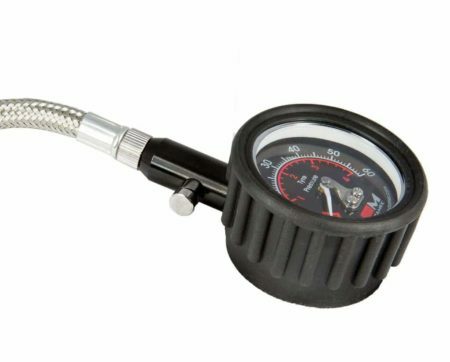 Robust gauge shrouded with protective rubber cover. 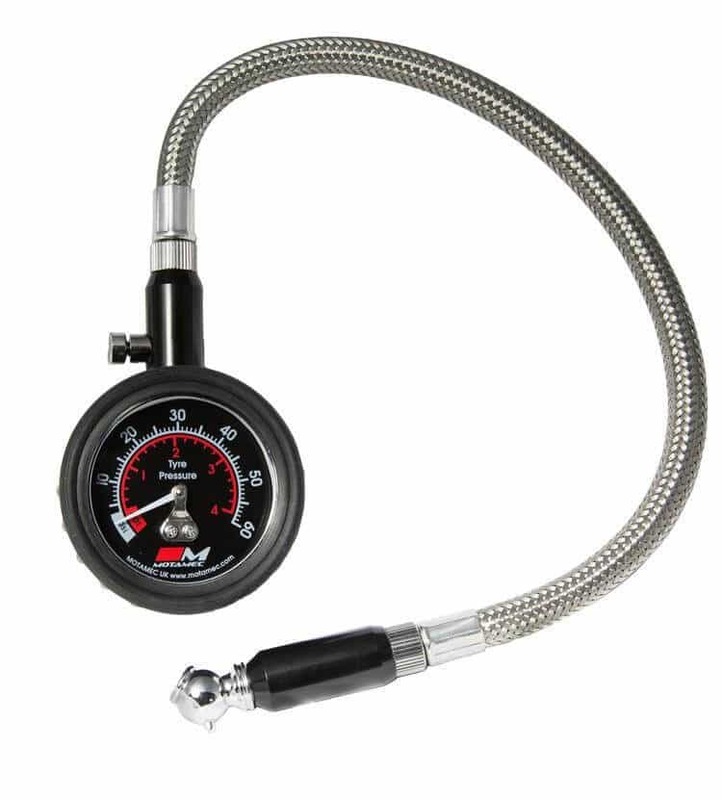 Comes fitted with pressure release button and 335mm long armoured hose.